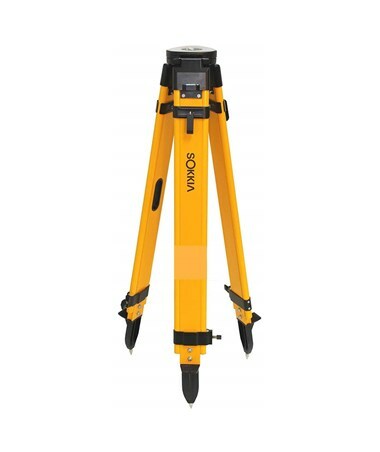 The Sokkia 724281 Wood Fiberglass Tripod provides an excellent foundation for multiple instruments. It has durable aluminum hinges and several features that offer enhanced stability. Use its extension legs to smoothly adjust it from 42 to 70 inches high. Once adjusted, fasten the legs securely with the heavy duty twist locks. Its pointed steel feet are equipped with long spurs that provide an extra solid grip on any surface – even concrete. 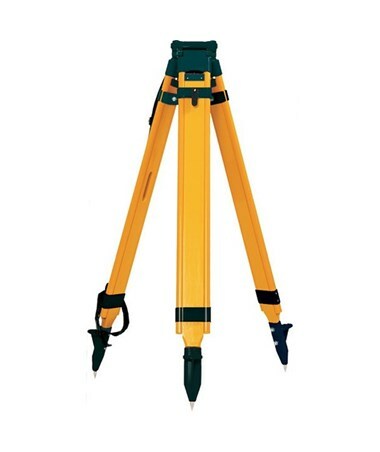 This device has a flat head and universal 5/8 X 11 threading, allowing attachment of most equipment. 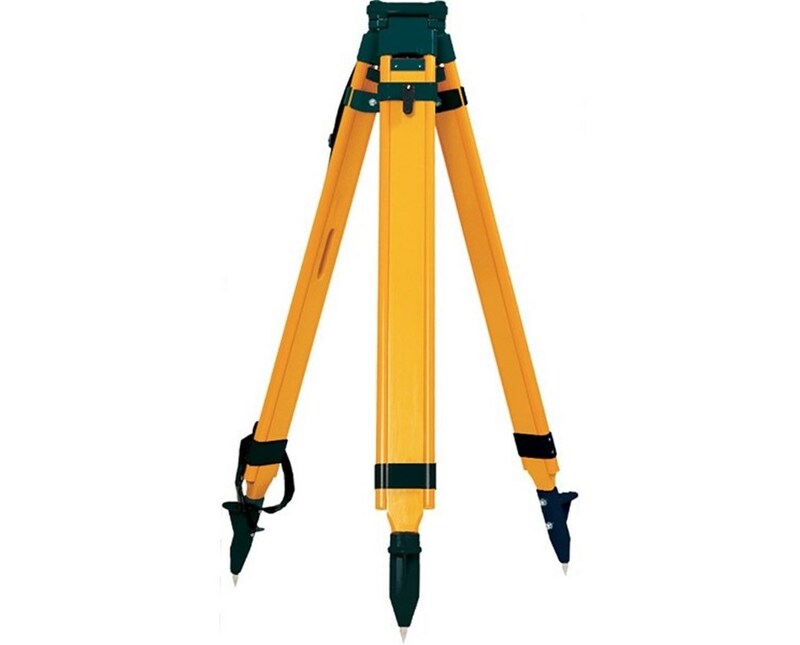 The Sokkia 724281 Wood Fiberglass Tripod weighs 15.7 pounds and comes in a highly visible yellow with black hardware. It includes a protective head cap that comes with a handy allen wrench for quick tightening when necessary. There is also a strap and buckle to keep the device closed when stored, a fully adjustable shoulder strap, and a plumb bob hook.